The bike lanes on Cascade Avenue in Colorado Springs have been controversial. New bikes lanes, traffic configurations and striping changes came to downtown last year, and the debate has been nonstop ever since. Many of the changes are part of the city's Experience Downtown Master Plan, which includes a bike master plan that the City Council adopted last April. No issue has elicited more argument in The Gazette's pages since. How should bike lane locations be chosen? How wide should they be? Do they improve cyclists' safety or make it worse by erasing vital traffic lanes in congested neighborhoods? Are they making the city more accessible to pedestrians and cyclists, or are they a waste of money? One reader's recent assessment: "On an errand downtown today, I encountered (former traffic director) Kathleen Krager’s Brave New Bicycle World — streets embossed with so many lines, cross-hatchings, arrows and incomprehensible symbols, all to no apparent purpose, that I felt I’d become a citizen of M.C. Escher’s mind." Another's, from the opposite side of the street: "We support giving our residents the freedom to decide how they get around our city and believe in the right to safety no matter what mode of travel they use to reach their destination." 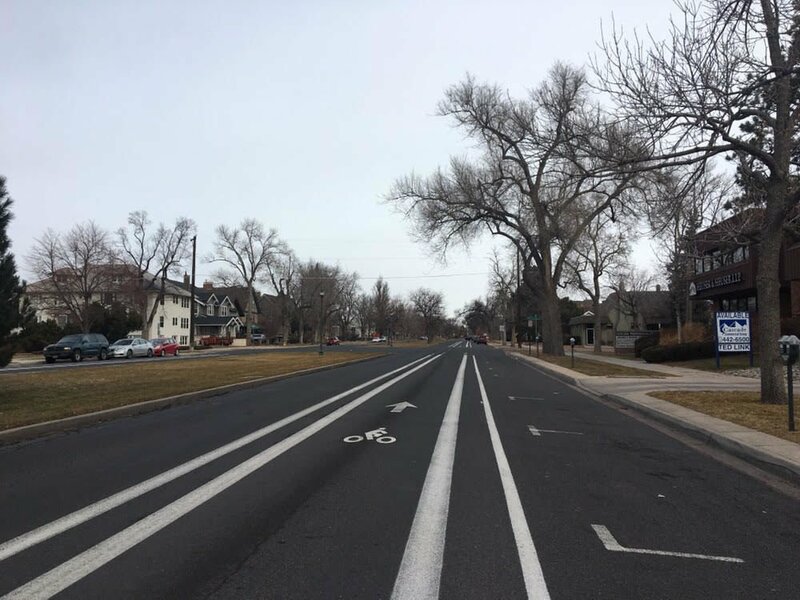 You can submit your questions for the Bike Lane Forum Community Conversation, held at 6 p.m. at Studio Bee in the Pikes Peak Center on Feb. 25, right here. So The Gazette and KKTV have decided its time to hash it out and hear from both sides at a Community Conversation. May the best arguments win. Community Conversations are a series of public forums convened on important issues of the day for Colorado Springs. Past conversations have focused on homelessness, affordable housing, marijuana, veterans' health care and political candidates, among others. We're assembling a panel of experts on all sides of the bike-lane issue to answer your questions, make their cases and better educate us all on the best way forward for bikes. The forum will be at 6 p.m. Feb. 25 at Studio Bee in the Pikes Peak Center. All questions will have to be submitted in advance on our website or in writing at the entrance to the debate. We also will livestream the forum on the Gazette’s website and on KKTV's. Two local taxes generate about $500,000 annually for city bike infrastructure, so this debate is not going away anytime soon. Here's your chance to add your voice to the conversation.